The saying “vanilla gold” is returning to Vava’u, with prices for vanilla now as high as $1200 pa’anga per kilo on the global market. It is the second most expensive spice in the world after saffron. Vava’u has some of the highest-grade organic vanilla in the world and wants to ensure that quality continues into the future. Pollination is one of the most important stages of the vanilla growth cycle to maintain quality and ensure a high price. Tonga Skills has facilitated a Farmer Field School training in this critical skill area to ensure that all plantations in the future will have a pool of properly skilled pollinators. 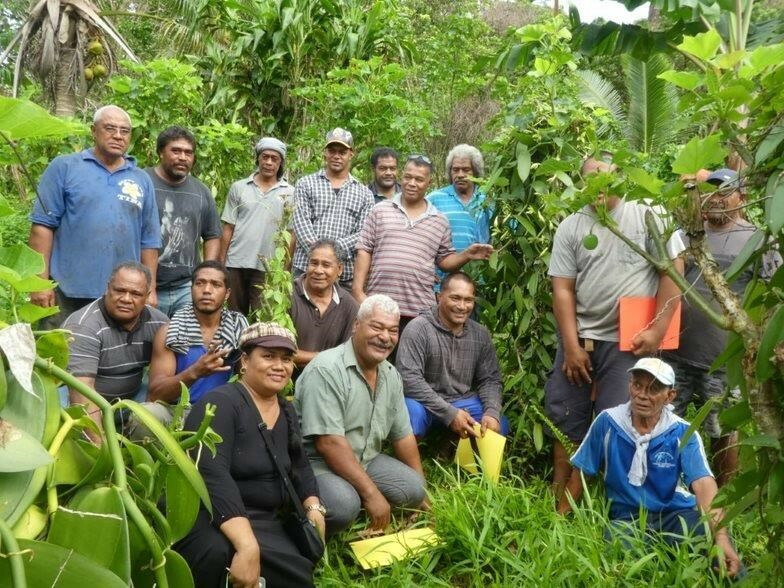 The training was conducted in 3 different Vava’u farms and for 3 different groups, with more than 50 people (men and women) being trained. The training was coordinated by the Ministry of Agriculture (MAFF) and was very hands on. It was conducted by 3 “best practice” organic farmers who were willing to share their experience and knowledge. 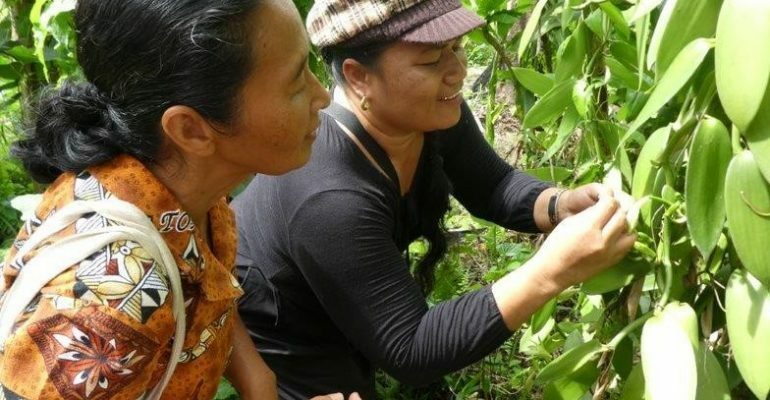 “the continued training of young people is important due to the aging of vanilla growers and the need for the new generation to learn from the old vanilla growers before it’s too late”. The training will be followed up in 2019 when the trainees will have the opportunity to see the outcomes of their pollination. Tonga Skills is facilitating training in agriculture as it is one of the critical industries that is developing the growing Tongan economy.